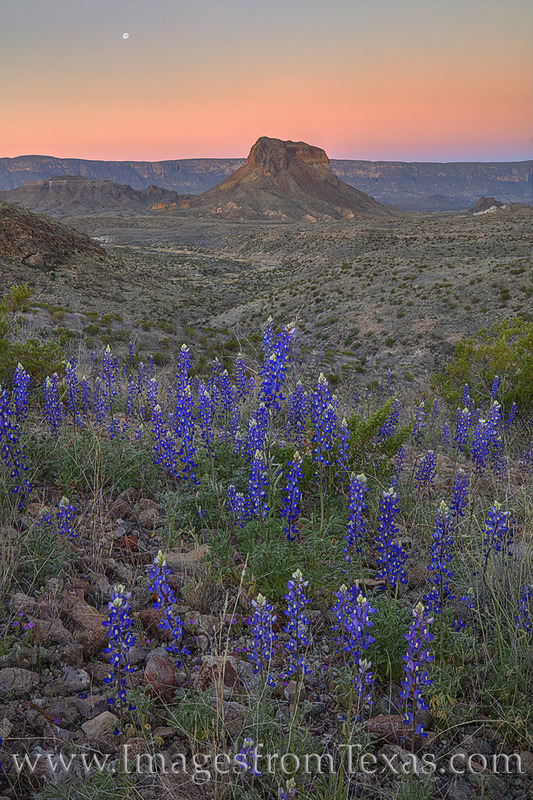 On a cold February morning, bluebonnets showed their colors as if blue was sprinkled on the hillside leading into this beautiful valley. On the western slope of the Chisos Mountains, and part of the Chihuahuan Desert, my location on top of a small hill afforded this commanding view with Cerro Castellanin the distance. Falling in the western sky, the three-quarter moon slipped gently to the horizon. Behind me, the sun's first light began to warm the early spring air. Photo © copyright by Rob Greebon.